Welcome to the Courtyard Downtown Tampa hotel! We are located in the River Arts District of Downtown Tampa. 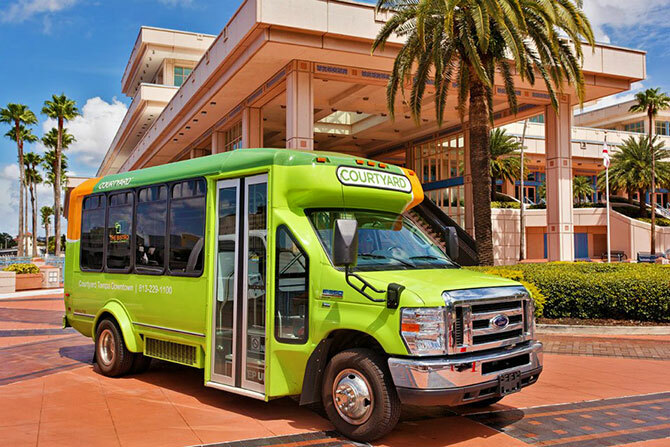 We provide a courtesy shuttle within 2 miles of the hotel, which includes the David A. Straz Center for the Performing Arts, Ybor City, Florida Aquarium, Amalie Arena, Cruise Terminals and many other attractions. 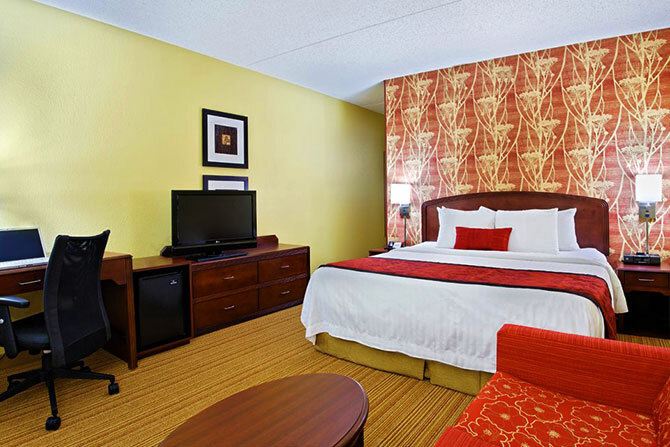 Our guest enjoy free high speed Internet, flat panel HDTV's, 24-hour business center, and large in-room workstations. Our Courtyard BISTRO offers some various breakfast, lunch and dinner options, to our guests. Also, they are able to visit our 24- hour on-site Starbucks or relax in our Courtyard Lounge. 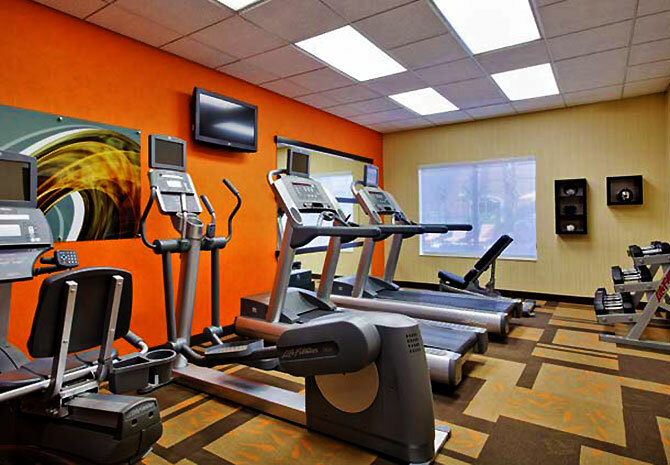 The Courtyard Downtown Tampa cares about our guest health while they are on the road; therefore, we have a 24-hour fitness center. At the end of their long day, guests can relax in our courtyard while they are soaking up some Florida sun in our tropical pool. 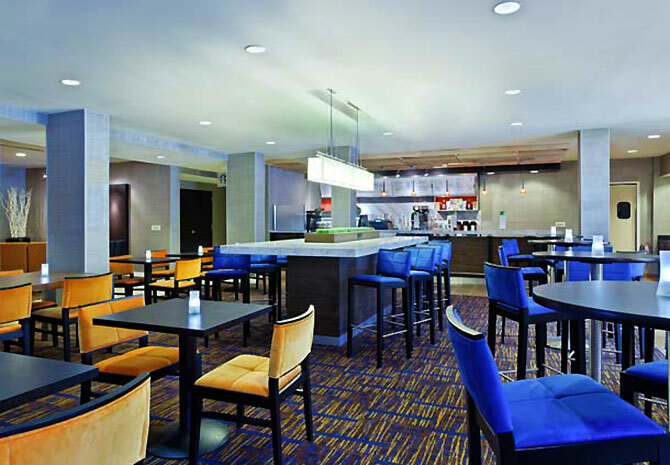 Enjoy great breakfast and dinner options at the Bistro and be sure to visit our on-site Starbucks and lounge. 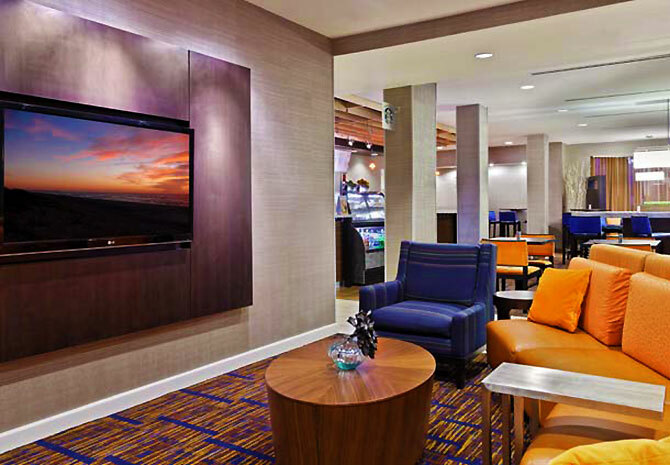 Travelers to the Courtyard Tampa Downtown will enjoy free high speed Internet, flat panel HDTV's, 24-hour business center, and large in-room workstations. Our check in time is 3pm and check out is at 12:00pm. Also, unique complimentary ways for your out of town guests to make their room reservations. We are able to create a custom web page. We can create a complimentary web page where your guests can not only reserve their room but can also find detailed information about your event. We are also able to accept a rooming list. 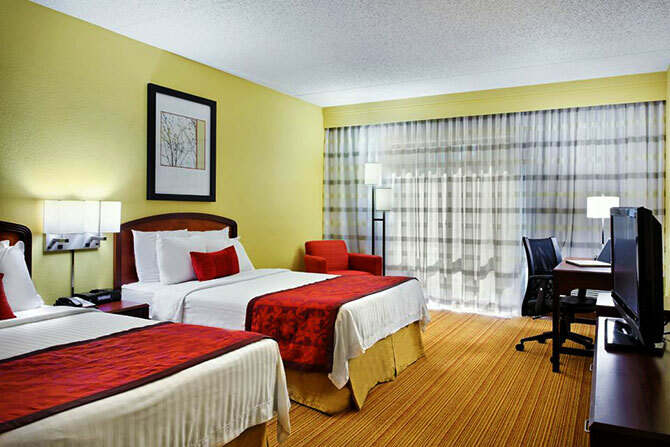 If you would like to handle your families and friends room reservation for them, you may give us one list and we are able to book the rooms for you. Per your request we are able to send you a rooming list to show you all of you’re out of town guest whom have reserved their room reservations. If you are a Marriott Rewards Member, please be sure to provide us with your Marriott Number as your group booking might be eligible for Reward Event Booking Points. Recently completed room renovation in late 2012! 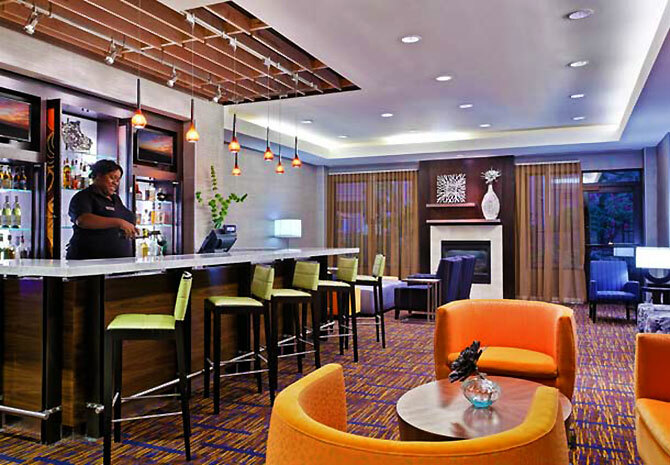 Business hotel in downtown Tampa designed for business travelers. 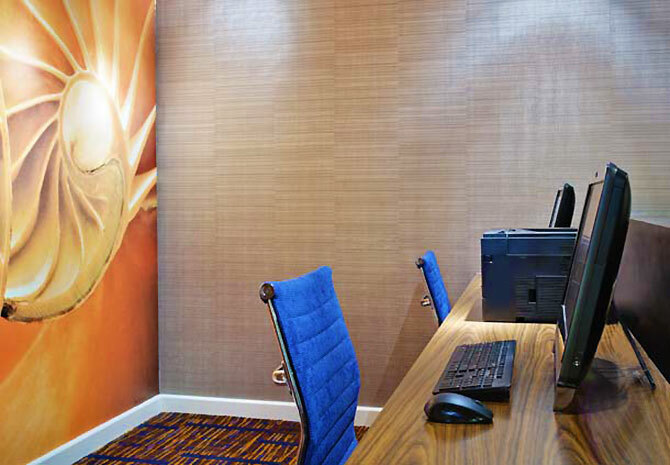 Free in-room high speed Internet access and access to business services in hotel lobby. Complimentary in-room coffee/tea and coffee maker. 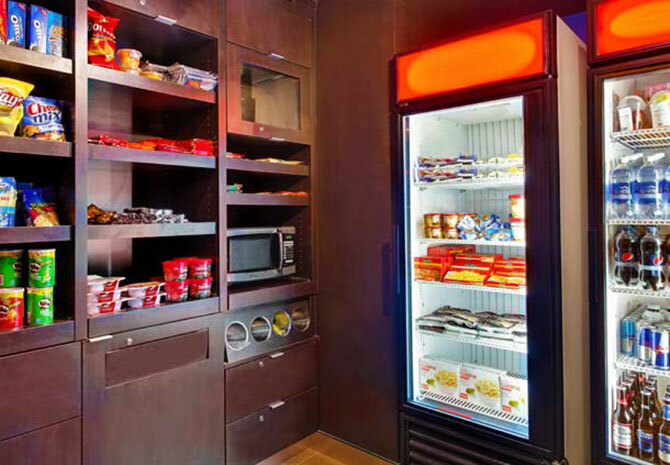 We care about your health on the road so feel free to take advantage of the 24-hour fitness center. 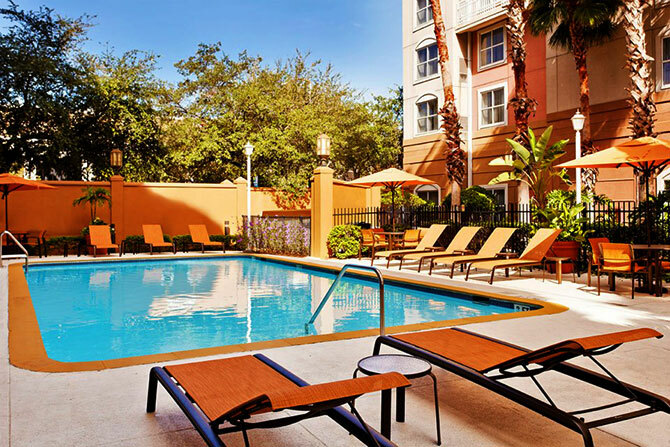 Finally, after a long day, relax in the courtyard and soak up some Florida sun in our tropical pool. Be at ease traveling in downtown Tampa by taking advantage of our free courtesy shuttle, which operates within 2 miles of the hotel.